UNC Lineberger researchers presented clinical, preclinical and population-based research at the ASH Annual Meeting Dec. 5-7. They presented findings from a study evaluating a treatment for a type of chemotherapy-resistant lymphoma and from an investigation into that the rate of fertility counseling for young men with cancer. 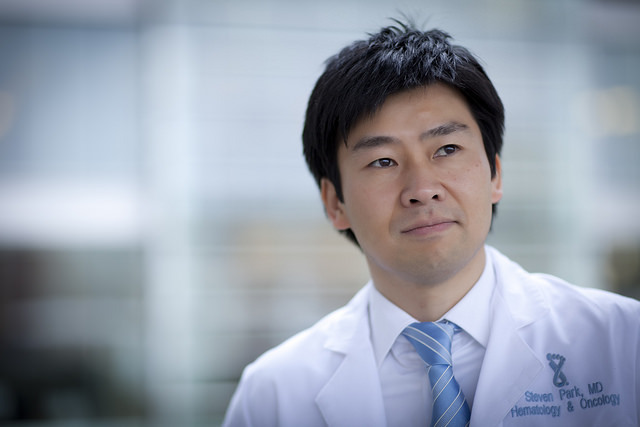 Steven Park, MD, is director of the UNC Lineberger Lymphoma Oncology Program and an associate professor of medicine in the UNC School of Medicine Division of Hematology and Oncology. William Wood, MD, MPH, is a UNC Lineberger member and assistant professor in the UNC School of Medicine Division of Hematology and Oncology. University of North Carolina Lineberger Comprehensive Cancer Center physicians and researchers shared leading research and expertise at the 57th annual American Society of Hematology Annual Meeting & Exposition, which drew thousands of hematology professionals to Orlando Dec. 5-8. UNC Lineberger researchers presented research ranging from preclinical studies into new potential treatments for a type of chemotherapy-resistant lymphoma to research that exposed the need for fertility counseling for young men with cancer. UNC Lineberger researchers are leading preclinical and clinical studies to overcome drug resistance in a particularly aggressive form of lymphoma – a type characterized by a mutation in a gene called Myc. Preliminary results from the preclinical study were presented at the 2015 ASH Annual Meeting. Led by UNC Lineberger member Steven Park, MD, director of the UNC Lineberger Lymphoma Oncology Program and an associate professor of medicine in the UNC School of Medicine Division of Hematology and Oncology, the researchers tested an inhibitor of Aurora-A kinase, which plays a key role in survival of Myc-driven tumors, as a strategy to overcome chemoresistance in this type of lymphoma. They tested this inhibitor in Myc-overexpressing lymphoma cells. And in their study of lymphoma cell lines and cancer models, they compared sensitivity to a conventional chemotherapy drug with or without the Aurora-A kinase inhibitor. They found that the inhibitor overcomes chemo-resistance in Myc-overexpressing lymphoma cells. Based on this promising result, UNC Lineberger is leading the effort to initiate a multi-center phase I trial of an Aurora-A kinase inhibitor combined with conventional chemotherapy in patients with Myc-overexpressing aggressive lymphoma. UNC Lineberger researchers have shown a need for fertility counseling and sperm banking for young male cancer patients in a preliminary study presented at the 2015 ASH Annual Meeting. The study is needed as many chemotherapy regimens can impair male fertility, said the paper’s first author Natalie Grover, MD, of the UNC School of Medicine Division of Hematology and Oncology. Grover said current recommendations state that health care providers should discuss the possibility of infertility and fertility preservation options with all patients receiving cancer therapy. “There are some treatments that are lower-risk, but patients may want to consider sperm banking because it is hard to predict what the future will hold, especially in terms of the need for additional therapies (such as bone marrow transplant),” Grover said. The researchers evaluated whether men being treated for cancer with chemotherapy with curative intent had received fertility counseling and whether they had attempted to bank sperm. According to their preliminary results presented at the ASH Annual Meeting, 28 percent of 160 young men with new cancers receiving chemotherapy with curative intent received fertility counseling, and 13 percent attempted to bank sperm. The researchers believe work is needed to develop interventions that can help improve those rates. 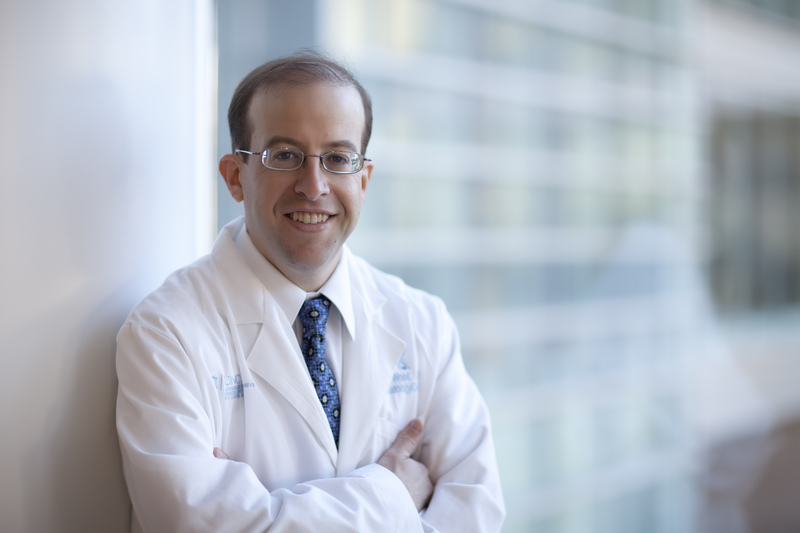 “Ideally, all young men planning to receive chemotherapy should receive fertility counseling, so this work shows that we have a ways to go to reach this goal,” said William Wood, MD, MPH, a UNC Lineberger member and assistant professor in the UNC School of Medicine Division of Hematology and Oncology.